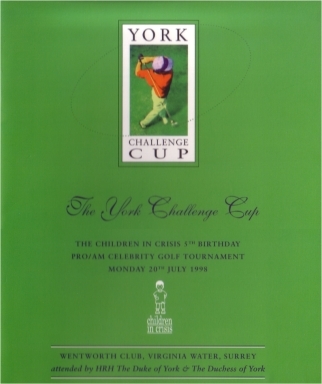 Refreshing the St Petersburg Collection archive this month, Chairman Philip Birkenstein was delighted to come across a signed ‘York Challenge Cup’ programme from 1998. This was the occasion of the launch of Theo Fabergé’s HOLE IN ONE EGG at Wentworth. Twelve years on, and many golfers across the world have joined the exclusive community which celebrates scoring a hole in one, with Theo Fabergé’s magnificent creation. 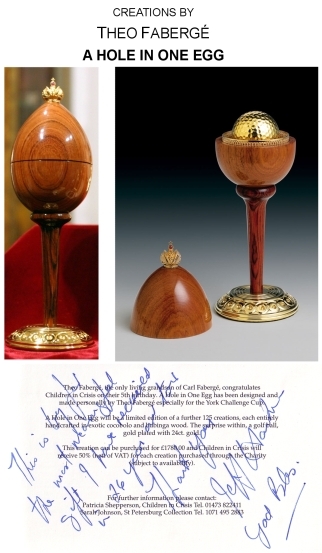 The word travels quickly round the St Petersburg Collection when an enquiry for a new HOLE IN ONE is received, and the craftsmen too are delighted; a double celebration!